You have been in the industry of baby products and services for as long as you can remember. You started at a big company, crafting baby products for the mass market and inventing new ideas that would appeal to all parents. You eventually took these skills to running your own business. You create niche products for the babies of today - taking into consideration different needs, allergens, and the concerns of new parents. Your website and brand lives on a .BABY domain name to let new parents know who your products are for. Whether you want to announce your baby to the world or create products and services for the youngest generation let new parents know that you put as much love and care into your brand as they do into their newborn. 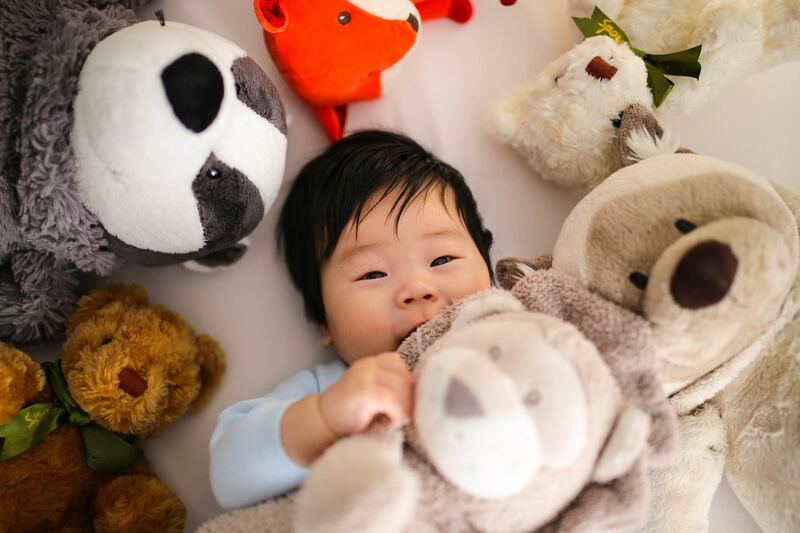 Get the domain name extension that's all about babies. For newborn ideas. The .BABY extension is the perfect domain for new parents, for baby products, and for baby-centric organizations that cater to growing families. The sweetest way to end a domain name is with .BABY. The .BABY was released on Hover on April 2nd 2019. The .BABY Generic Top-Level Domain (gLTD) was first owned and managed by Johnson & Johnson. It was originally made available to the public on the 12th of April 2017, but with restrictions. At the time, each domain name had to be approved and relevant to the baby care industry as well as family-friendly. Only domains that were registered by a subsidiary or affiliate of Johnson & Johnson went through. Recently, Johnson & Johnson sold .BABY to XYZ LLC who is releasing it to the public. You sell some of the most coveted baby products available to new parents. You want your audience to know that you sell exclusively baby products, so you put your company domain on a .BABY domain name extension. Whether you offer infant photography, classes for babies, or even daycare or healthcare services people trust your brand to deliver the highest quality services for their precious newborn. Put your service on a .BABY domain to let parents know where your focus is. You put care into your handmade baby products. Give your Etsy page more legitimacy with a custom .BABY domain name that speaks to what you specifically make. Your e-commerce shop is serious business - you've been sourcing and selling some of the best baby products in the industry and you want people to know. Get the .BABY domain name for your Shopify store. You are having a baby - congratulations! You want to celebrate in style... but with ease. Who wants to spend time handing out paper invitations? Get your baby shower planned online and put your baby shower website, Facebook event, Eventbrite link, and more on a .BABY domain name. What do I get with my .BABY domain?